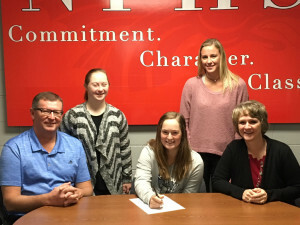 NPHS senior Mackenzi Black has signed a letter of intent to play golf at Fort Wayne. Black is a member of the Dragon golf team that has won four sectional titles, three HHC titles and four Hancock County titles during her career. She is a two-time State Finals qualifier and a two-time individual county champion, as well as an All-HHC golfer all four of her varsity seasons. As a freshman, she helped lead the Dragons to their first IHSAA State Finals berth. She played her high school golf for coach Gregg Greene. Black had a strong senior season, highlighted by a hole-in-one at the New Palestine Invitational. Fort Wayne – also known as Indiana-Purdue Fort Wayne – is an NCAA Div. I school that competes in the Summit League. 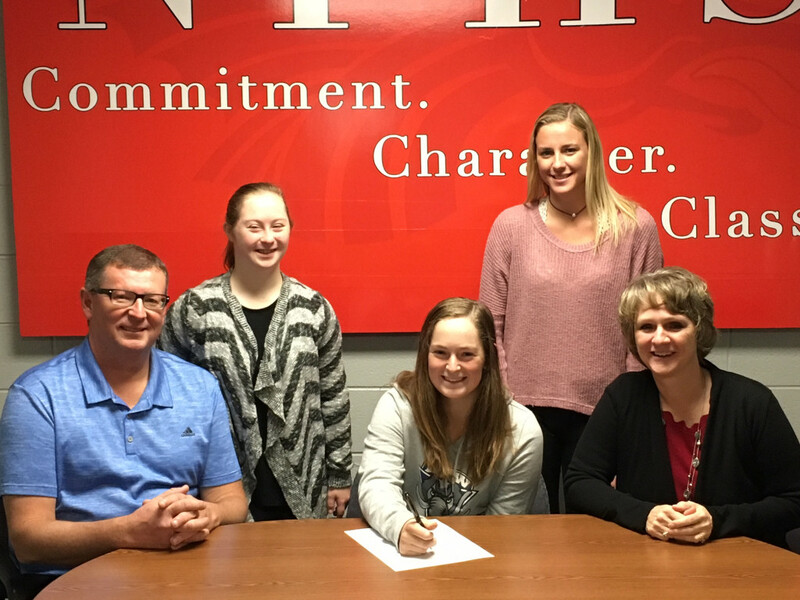 Senior Mackenzi Black signs her letter of intent to play golf at Fort Wayne.